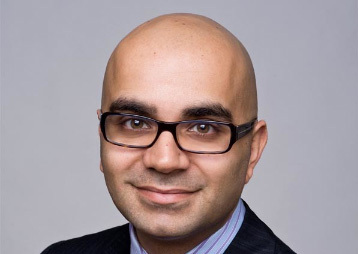 Dr. Netan Choudhry is the founder and medical director of the Vitreous Retina Macula Specialists of Toronto, a premier academic retina practice. He is internationally recognized Vitreoretinal Surgeon with affiliations at both the University of Toronto and Harvard Medical School and is a faculty member at Cleveland Clinic Canada. He is universally recognized as a thought leader in retinal imaging and the diagnosis and treatment of rare disorders of the retina and vitreous. Dr. Choudhry is an experienced cataract surgeon with expertise in premium cataract surgery & Femtosecond laser cataract surgery. As a retina surgeon performing cataract surgery, he specializes in complex cataract surgery including, but not limited to eyes with pre-existing retinal disease. He has published in the world’s most read/indexed journals including: The New England Journal of Medicine, the Lancet, Ophthalmology and the Retina Journal. Dr. Choudhry’s innovative work in the field of retina has also been published on the covers of numerous journals further earning him the distinction of a pioneer in retinal imaging. Dr. Choudhry is actively involved in medical education at the University of Toronto Department of Ophthalmology & Vision Sciences and he is also a faculty member for the Massachusetts Eye & Ear Infirmary Harvard Medical School Annual Vitreoretinal Surgery Fellows course. He has been an invited speaker at over 75 international conferences and symposia. Dr. Choudhry has published several book chapters in retinal medicine and wide-field imaging. In addition, he has also received research grants to investigate: Age-Related Macular Degeneration, Diabetic Retinopathy & Retinal Vein Occlusions. Dr. Choudhry has served on the board of directors of the American Society of Retina Specialists (ASRS) and the CNIB diabetic retinopathy & vision loss project. He has also worked as the program chair for the Canadian Retina Society and is on the Retina Section program committee for the Association for Vision in Research & Ophthalmology (ARVO). Dr. Choudhry is our preferred provider for vitreoretinal services. For vitreoretinal inquiries or to schedule an appointment at his office, please visit Vitreous Retina Macula Specialists of Toronto (VRM Toronto) or call 647-361-7575.